We may not all be rabid sports fans; whether as players or spectators, but most of us like some sports, right? We even have our favorite players like Drew Brees, Chloe Kim, Phil Mickelson, or Cristiano Ronaldo so we can still relate at some level to sales and sports. Pro golfers are at the top of their sport, but there's no one player that's at the pinnacle in every aspect of his or her game. Dustin Johnson is currently the best on the PGA tour off the tee, but around the green he's 43rd. Rory McIlroy has one of the longest driving distance averages this year but only ranked 78th when it comes to putting. Ariya Jutanugarn, LPGA golfer, has the best putting average, but ranks 110 in driving accuracy. All are top in their game, but not all are the top in every aspect of their game. Sales, as is golf, is one of the tougher career choices. Everyone is competing to be at the top, and there are many competences to be mastered. There is no athlete or sales professional that can maintain top excellence in every skill set. In order to be the best in golf or sales, we must continue to evaluate and develop our skills. You really want to hit the ball off the tee and have it actually land on the greens so you work with your golf pro. You practice with focused determination, and lo and behold, your driving accuracy has gone up! Darn it, now your putting game has tanked because you haven't been practicing. Putting is already frustrating for you because it requires patience; not a term people use to describe you. In fact, you avoid putting practice as much as possible, but now it really shows. The same concept applies to your sales competences. If you've identified "prospecting" as an area to develop, you will practice until you improve. Your boss congratulates you on identifying more potential customers, but she's noticed you've become lax in following the sales process and she's a stickler for the sales process. You've been in trouble for winging it and cutting corners in the past since it was never very important to you. So how much energy do you devote to it when your personal goal is to increase your prospect contacts? Should you at least focus on the fundamentals to keep your boss happy? Sales competences are similar to golf competences at a basic level. You are constantly juggling and sometimes struggling, but you can develop yourself more efficiently and smartly. First off, there's no such thing as mastering all sales competences; it's just not possible. However, sales competences, when prioritized, depending on your roles, inclination, and mindset, can ultimately maximize your sales performance. Let's say you're a sales manager who's handling only a few established accounts, but the rest of your time is spent on non-sales related responsibilities, like managing your sales people. You shouldn't be surprised to see your prospecting competence score is lower than expected, but you've been doing prospecting since the beginning of your long sales career. Your score may be lower because prospecting isn't a current priority for you. 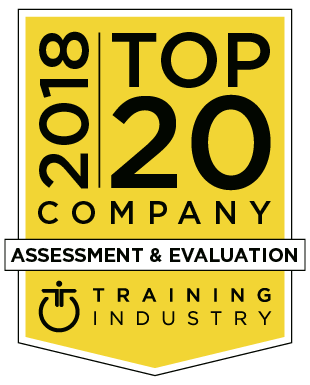 The key is to focus on the competences that are critical to your current role, and just as importantly, to continue to develop and make adjustments. The FinxS® Sales Competence Assessment is designed to identify current proficiencies in 18 critical sales competences for selling success, but it is only a part of the picture. In order to truly maximize your performance, you need to understand how your mindsets may be holding you back. Do you spend too much time and focus on certain sales competences? Have they helped your sales success? Are there aspects of the sales process you dislike or avoid altogether? Instead of spinning your wheels, the FinxS® Sales Competence Assessment helps you determine what course of action would achieve the best results. 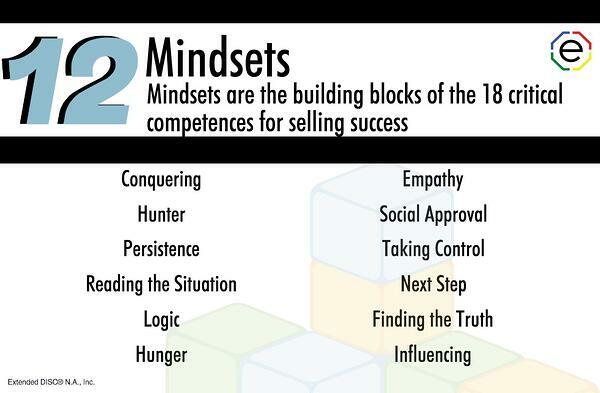 Mindsets are the building blocks of your sales competences. They help us look deeper at what may be holding us back from being more successful in these areas. For example, if your mindset score is lower than your competence score - do you think you're good at it or do you not value this competence? Do you have enough experience to trust your natural skills? The good news is you may not have reached your full potential with this competence so you can definitely develop it further. Look at where your mindset and competence scores are both low. It is currently not your strength or you may not like it or have motivation to develop it. You may want to evaluate how important this competence is to develop. Unless you have time and energy, consider just practicing the fundamental skills so others don't see it as your weakness and use it to their advantage. The FinxS® Sales Competence Assessment provides you, your manager, and your sales coach a road map to selling success. In the end, you may not win the U.S. Open or the Masters, but you will be at the top of your sales game! "The best players have that ability to make that adjustment no matter what they're using."